I heard about the Park hotels in 1997, when I was in the final year of my Hotel Management course at IHM Mumbai. I didn’t appear for the off campus selection as it was being held in Calcutta. Moreover, I had already decided that I’d join the Taj group; it didn’t make sense to travel that far. Fast forward to 2007, The Park Navi Mumbai opened in February and The Park Hotel School, Apeejay Institute of Hospitality was all set to mark its beginning under Mr. Bhuvan GM as its principal. I liked the concept so much that I applied to join as a faculty. I was asked to go for an interview to Chennai as the entire management team was going to be there. That very week I was booked on an early morning flight to Chennai. There was another person accompanying me, who was also shortlisted for the position of HOD, Food Production. The flight was on time, the hotel car picked us and we were led to The Park Chennai. As we approached the hotel we saw steel doors instead of the regular glass ones that give a grand view of the hotel’s plush lobby. The moment the door opened it gave a glimpse of some cameras and lights; the reception counter was designed like a boat and the floor looked like the sea. I was amazed at the design of the hotel and also the staff uniforms. I didn’t know much about boutique hotels then, did have an idea though, having read in books; but not anymore, infact I have done a blog on boutique hotels. We went to our respective rooms to freshen up and got ready for the interview. We were then asked to go to the business centre close to the hotel where the Financial Review Meet was in progress. All the General Managers of the hotels, Finance heads, MD, and Chairperson Ms. Priya Paul were there. Until this time I wasn’t really sure if I wanted to join the new organization that was so very different. Just to remind, I came from a very conventional hospitality college that had rules fit for an Army; equally strict with the norms as well asthe dos and don’ts was the Taj Mahal Hotel, Mumbai where I had worked. We waited for the Managing Director Mr. Vijay Dewan and Mr. Lemuel Herbert, who was then the General Manager of The Park Bangalore with an additional responsibility of setting up the hotel school. They interviewed us during their tea break. That was the first time I saw Ms. Paul who was surrounded by the unit heads and she stood in the centre with immense grace, power and a magnetic sense of authority, she was charismatic and had a magical aura about her. I wanted to work with her and be a part of the organization; wanted to make sure that I did well in the interview. The interview was quick and I was selected as an Associate Professor and Head of Department for the Hotel school. I became a part of this esteemed organization on 5th April 2007, the day Apeejay Institute of Hospitality was inaugurated. I had the privilege of being the master of ceremonies for the event and also host the first program offered from the portals of AIH, the Supervisory Development Program. I remember once while Ms. Paul was addressing The Park Management Trainees, one of them asked her why The Park Hotels didn’t have common SOPs and hierarchy across the chain, she replied saying that The Park wasn’t a chain it was a collection. Every hotel had it’s own identity and she wanted a 25 year old, like him to manage her hotels. She didn’t believe in that kind of standardisation and hierarchy. Her hotels are a reflection of her personality creatively inspiring, spontaneously joyous, daringly different and making things fun. The mantra that her teams follow are, ‘Work hard and party harder’. She has a picture-perfect memory; she remembers every change one makes, be it a deviation in the recipe or an art work shifted from its original place. She also remembers her staff well and takes keen interest in their development and ensures empowerment at every level. Her hotel’s HR policies put its people first. Mr. Lemuel Herbert was the General Manager of The Park Bangalore, that opened as the first boutique hotel of the collection; it could very well be called the first luxury boutique hotel in India. When I asked him what it was like; being a pioneer, he said, “With The Oberoi, The Leela and ITC Welcomgroup in the wake of my career, I was on Ms.Paul’s team as general manager of The Park Bangalore in July of 1999. The hotel was in the throes of a metamorphosis to emerge in it’s new avatar as a Boutique hotel that would blaze a trail in India. I had gone out personally to procure and display for Ms.Paul, crockery and cutlery samples for the new hotel”. She smiled patiently and said “Lemuel why don’t you go out again, and this time have fun choosing stuff”. I smiled awkwardly but her message hit home, break free of your earlier paradigms! The next display brought a smile on her face that said “Now we’re talking” Ever since I’ve told my colleagues, especially during induction, make your work fun, you’ll love it”. Ms.Priya Paul is the epitome of the empowered woman. The chairperson of the ApeejaySurrendra Park Hotels Ltd., Ms. Paul is a multifaceted lady, who wears numerous hats with élan. She is a successful entrepreneur, a devoted daughter, wife and a mother. Champion of women empowerment, she is also an active industry supporter. She has often been dubbed as the leading lady of the Indian Hospitality Industry, the lady who brought the concept of boutique hotels to India. Having a keen eye for design and detailing, she is extremely creative and social. These qualities not only make her popular in the industry but also loved by her staff. She is a great mentor anda leader par excellence. She turned her hotel into spaces where guests did not just stay confined to their rooms but indulged in an experience of luxury and comfort throughout the hotel. She is a lady well travelled and well read, drawing from her ownexperiences; she managed to create a collection of luxury boutique hotels with sophisticated interiors, decorative themes and immaculate service. An art collector, design aficionado and a creative powerhouse, no doubt she is the pioneer ofboutique hotels in India, that are architecturally unique. Ms.Priya Paul was born into a privileged business family in Kolkata on 30th April 1966. It was the year her father launched their first hotel, The Park Kolkata.She studied at the Loreto House Calcutta and graduated in Economics from Wellesley College, USA.She then joined the hospitality division of her family business, after completing her studies, at the age of 22. She started her career as the Marketing Manager of The Park New Delhi in 1988;initially worked under her father Mr. Surrendra Paul and just two years later, she became the Acting General Manager of The Park New Delhi. She went on to become the Chairperson of the ApeejaySurrendra Park hotels in 1990, after her father’s untimely demise. The family went through some challenging times but as it is rightly said tough times don’t stay but tough people do; they kept together, consolidated what their father had built, garnered the strength to not only be each other’s support system but also to steer the ApeejaySurrendra group to great heights.That was the consequence of setting new standards, streamlining operating procedures and hiring the right professionals. As a family they took charge of the situation and emerged winners; and there has been no looking back! Ms. Paul has redefined hospitality in India.She knew that her hotels had to stand out and be noticed; that lead to the boutique hotel concept shaping up in her mind with the vision of ‘Leadership Through Differentiation’. She’s self driven and constantly challenges herself to offer something innovative. With her eclectic sensibilities, keen eye for design and extremely fine aesthetic sense;she has been able to create great hotels, each very different from the other. When Ms. Paul took over the reins of the hospitality division of the ApeejaySurrendra Group in the 1990s, hotels in India were formal places. Her belief was to be AnythingBut Ordinary! She made her hotels hip with lounge bars, discos, innovative restaurants, sponsoring fashion and art shows; not something that many hotels did, back then! Today, The Park Hotels is a name to reckon with in the hospitality industry with a nationwide presence. They have emerged as stylish, edgy, fun and warm; which is a true reflection of contemporary India;winning national and international recognition.Headquartered in Kolkata, West Bengal, India, The Park hotels are located in Kolkata, Visakhapatnam, New Delhi, Bangalore, Chennai, Navi Mumbai, and Hyderabad. They also have managed properties under the Park Collection and Zone by The Park. Zone by The Park, envisioned as a Social-Catalyst brand, is much more than a hotel, designed to cater to the needs of ‘design conscious, price conscious’ customers. With relaxed, un-boxy spaces, a happening bar, restaurant and buzzing nightlife, it is a place where people can make new connections, refresh and recharge themselves. Drawing from The Park’s design spirit, the concept envisions an interactive series of lively spaces using the best of contemporary design, with creative and playful interiors, multi-functional spaces, great restaurants, bars and vibrant nightlife.Zone has its presence in Coimbatore, Jaipur, Chennai ORR, Raipur, Bengaluru, and Jodhpur with upcoming hotels in Igatpuri, Pondicherry and Goa. Ms. Paul says, “When we started the concept of boutique hotels, nobody in India knew what was happening in the rest of the world, so we had to establish the concept. Today, you don’t have to look to the world at all; The Park Hotels are adequate in indicating the global buzz”. 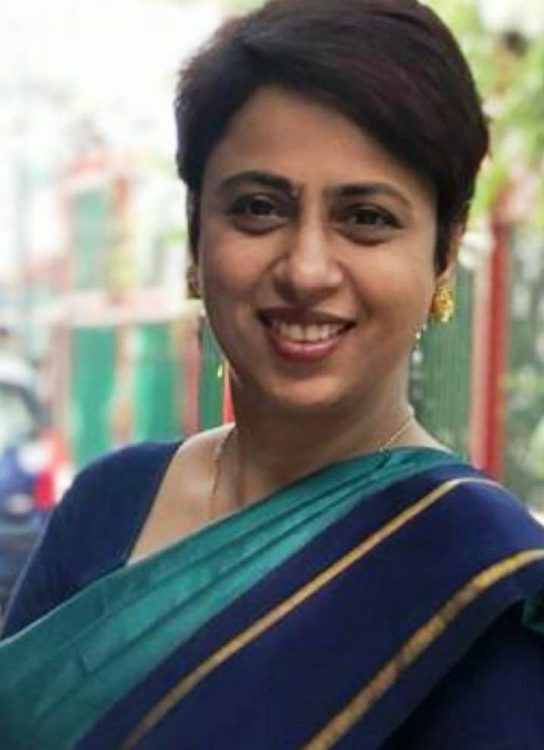 Ms. Priya Paul’s contributions to the industry and commerce, particularly in the field of Hospitality and Tourism have been repeatedly recognized and she has received several awards and citations. 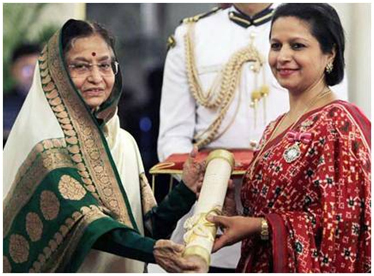 She has been awarded India’s fourth highest civilian honour, the Padma Shri in 2012. 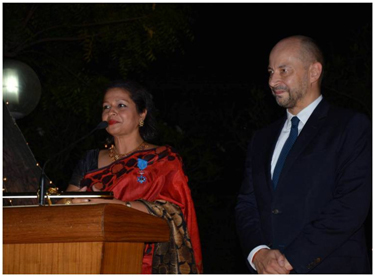 She was conferred the prestigious Insignia of Chevalier de l’Ordre National du Mérite (National Order of Merit) an Order of State, granted by the President of the French Republic in 2014 and has been inducted into the FHRAI Hall of Fame in 2010. To commemorate her contribution to the hotel industry for 25 years, ‘Hall of Fame 2011’ was bestowed to her by Hotelier India. She has also been honoured for her outstanding contribution to hospitality industry by AHEAD Asia 2018 hosted by Sleeper magazine. She is a Trustee of the Indira Gandhi National Center for the Arts (IGNCA) and Board Member, National Council of Science Museums. 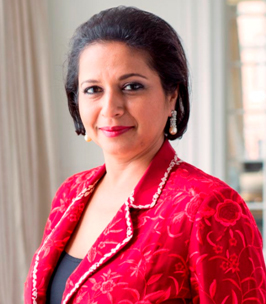 She is an Executive Committee Member and Ex- President of Hotel Association of India (HAI), is a founder member as well as the Ex- Chairperson of World Travel &Tourism Council (WTTC) -India Initiative, Chairperson South Asia Women’s Fund, and a member of Harvard Business School’s India Advisory Board. Ms. Paul has received the FHRAI (Federation of Hotel and Restaurant Association of India) Entrepreneur of the Year Award in 2000, was recognized by Forbes online as one of India’s 100 most powerful business women in 2006, and was conferred the Zee Astitva Award in the Business category in 2008. She has also been awarded the ‘Spa Personality of the Year’ for the year 2009-10 by Asia Spa India. India Today Woman in Business Award and PHD Chamber-Distinguished Women Entrepreneur Award for 2009-2010. Known for her design acumen Ms. Paul was awarded ‘Excellence in Design Innovation 2011’ by Condé Nast Traveller India, She was awarded the Aatithya Ratna Award by the Hotel Investment Forum India, 2011. Since 2011, Fortune India has consistently listed Ms. Paul in the 50 powerful business women in India.